We’d love your help. 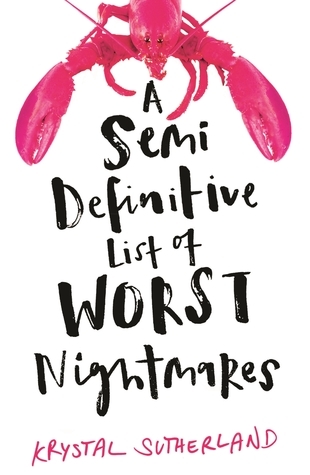 Let us know what’s wrong with this preview of A Semi-Definitive List of Worst Nightmares by Krystal Sutherland. Ever since Esther Solar's grandfather was cursed by Death, everyone in her family has been doomed to suffer one great fear in their lifetime. Esther's father is agoraphobic and hasn't left the ba From the author of Our Chemical Hearts comes the hilarious, reality-bending tale of two outsiders facing their greatest fears about life and love one debilitating phobia at a time. To ask other readers questions about A Semi-Definitive List of Worst Nightmares, please sign up.